She Needs What for Texas? 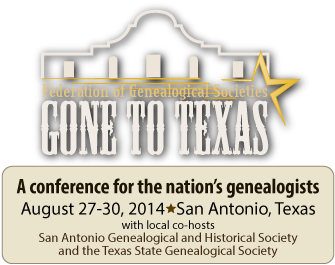 #FGS2014 – Your Roots Are Showing Dearie! Saturday morning last, Nostalgia rose bright ‘n’ early and recruited MiLady. They were gone in 35minutes — and it must have been urgent; they took the van! When they returned, it was very late in the evening and the van was encumbered with bags and packages. It took well over an hour with everyone’s assistance to unload it all. “A dead body maybe?” Captain teased with a wide grin. Both sons screwed up their faces, delivered the packages and quickly fled. I was leaving the room, after dropping off four shopping bags, as both girls entered very chatty. “Always,” I responded, returning the buss and lightly goosing her behind as she floated past. “If you did that to her, I’d expect a divorce!” MiLady added coldly. I needed to change the topic … Very Quickly! “What is all this junk?” (I knew this would work.). “IT’S NOT JUNK!” Nostalgia screeched, almost in tears, as she ran to the bathroom and locked the door. Yes, it was a surprise to me too. I was dumbstruck — that never happened before! I turned to my soulmate for answers. “Ohhhh,” was the most intelligent response I could muster with my deer-in-the-headlights look. “New face,” I continued with a smirk. MiLady backhanded me across the chest and told me to stop teasing. Chef, Captain, Junior and Paige (MiLady’s daughter from previous marriage) all staggered in with the dregs of Gia’s shopping spree: six more bags and four more boxes. Looking everything over, I noticed all the contents in the bags were black. Black? That’s very odd, I thought, Gia has always been attracted to bright and vibrant colours. I then gave the nearest box a light kick. It didn’t move. It didn’t even budge — (but I was almost certain that I broke two toes!). Cursing in Gaelic, I grabbed my injured foot and starting hopping in a circle. (It is very rare, if you ever get the chance to see a rabbit hopping on one foot. I will admit, it is not very graceful, but amusingly memorable.). “What is IN that one?” I demanded, glaring at the object wishing I had Superman’s x-ray vision to inspect it followed quickly by heat vision to blow it up! “Gia’s new boots, I think,” my favourite girl responded suppressing a giggle. “All these boxes are boots and shoes?! ?” I asked wide-eyed. “IT’S NOT JUNK!” screeched from behind the bathroom door, surprising both of us. It took a moment for me to comprehend what I heard, before I walked over to the door and knocked. Under my wife’s approving gaze, I waited for an answer. Still nothing, although the light under the door did appear to show slight movement. It was then MiLady quietly hugged me and nodded that I continue, but I had a problem: I had nothing left! That hug distracted me! A faint whimpering whine combined with a blood-curdling yowl was heard from the door. “I’ll take that as a ‘No. '” I finished, scrambling to the staircase as MiLady quietly pleaded her way into the bathroom. Once downstairs, I fell into my chair and nursed my injured foot as my little rabbits slowly gathered round. I relayed my misadventures of the dangerous goods in their auntie’s inner sanctum. Their eyes widened — in reaction probably to my stupid box-kicking rather than fear of any of the shopping contents. “Same thing, isn’t it?” I winked back at her, as she shook her head and bravely ventured upstairs to assist her mother.